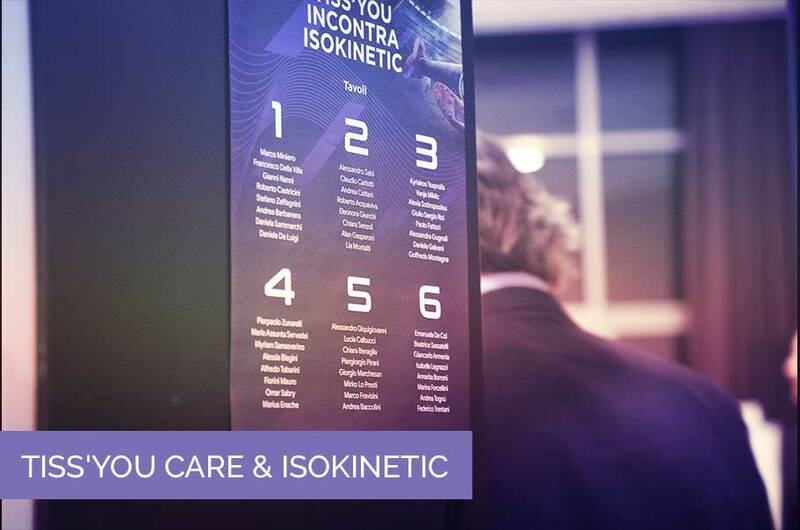 During the last weeend of April, Wembley Stadium in London will host the 28th international Isokinetic conference dedicated to the prevention, diagnosis, treatment and rehabilitation of sports-related injuries. 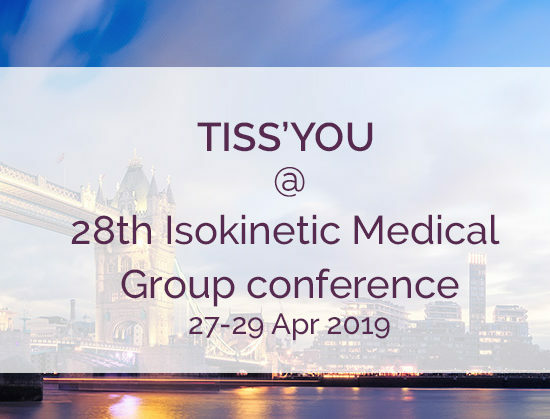 To fuel the collaboration between the famous sports medical group and our company [LINK = https: //www.tissyou.com/tissyou-care-isokinetic-shake-hands/], Tiss’You will be an important sponsor of the event. 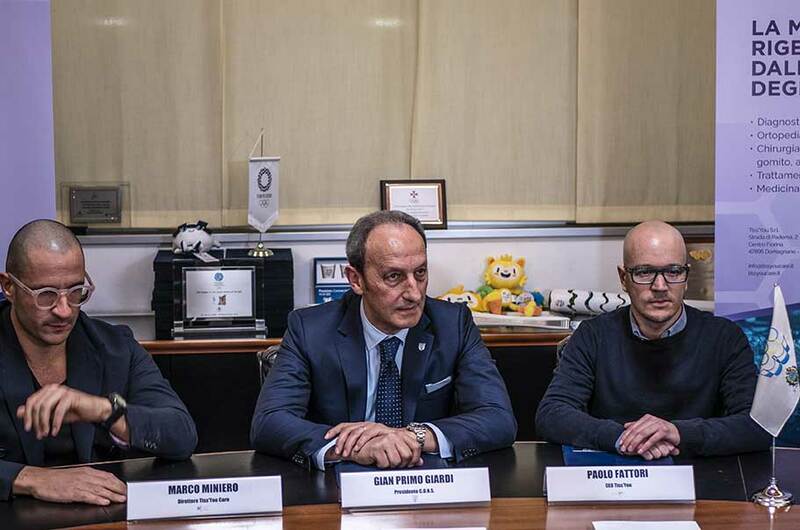 This morning, a cooperation agreement entered by San Marino’s National Olympic Committee (CONS) and Tiss’You Care was disclosed. Besides ensuring visibility to both parties, the agreement provides for the possibility to give support to athletes in terms of conditioning, prevention and rehabilitation. 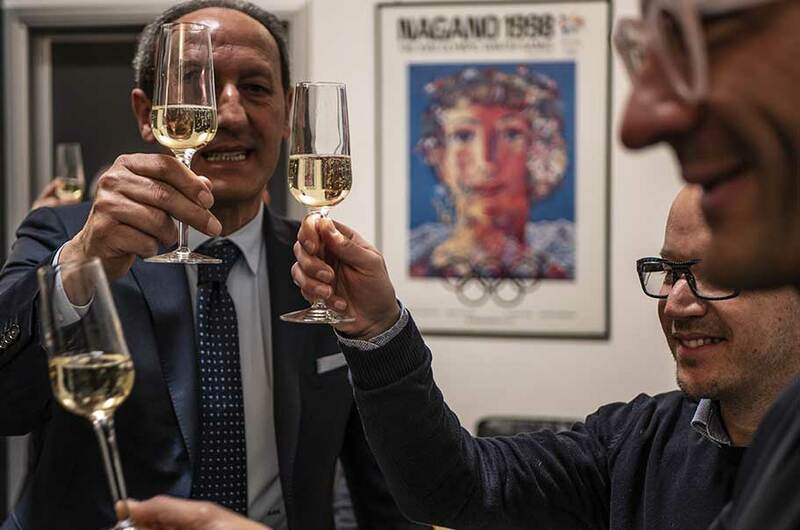 NOC’s President, Mr. Gian Primo Giardi, explained: “This agreement is part of a project aiming at engaging cutting-edge partners in San Marino and Tiss’You, no doubt, is one of them”. Marco Miniero and Paolo Fattori of Tiss’You underlined that this agreement will not simply guarantee funds to local sports activities. It will ensure concrete support to athletes through the supply of prevention, conditioning, up to rehabilitation services. They added: “We hope our activity will not be limited to conditioning and prevention services. If required, our centre can give complete assistance to athletes and allow them to go back to competitions after injuries as quickly as possible”. 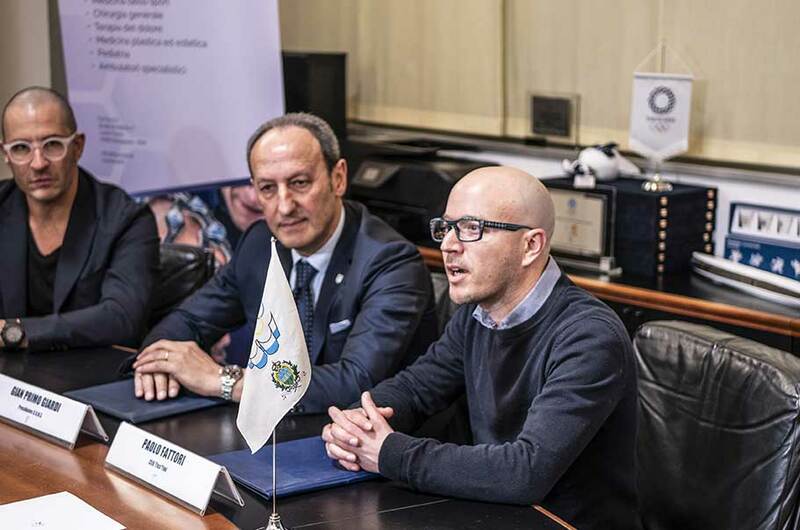 The agreement was praised also by CONS’ Vice President, Mr. Christian Forcellini, and Secretary General, Mr. Eros Bologna, who highlighted that sport, prevention and health should go hand in hand. 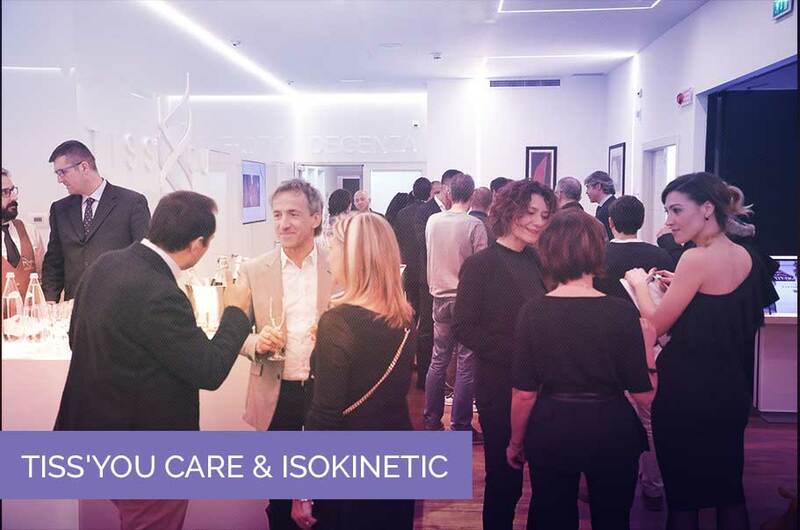 The orthopedic surgeons Piergiorgio Pirani, Marco Trono, and Marco Fravisini partecipated at the inauguration of the Skill Lab in the Dutch city, where a unique course on robotic surgery was held with the aim to quickly activate the technology inside Tiss’You Care clinic in San Marino. 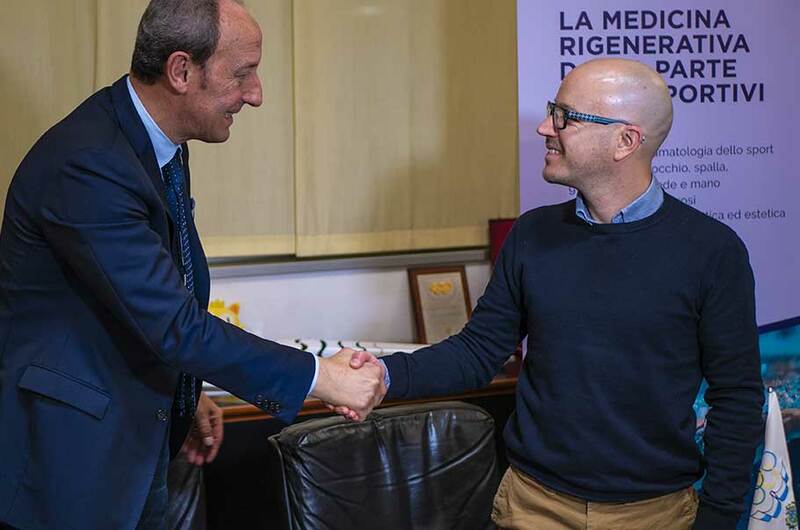 The representative of the robotic surgery service, Dr. Davide Bertolini, supported the initiative. Looking at the same model of the Dutch center, Tiss’You Academy will be inaugurated by next summer. The company exhibits its devices in the most important dental medicine meeting. 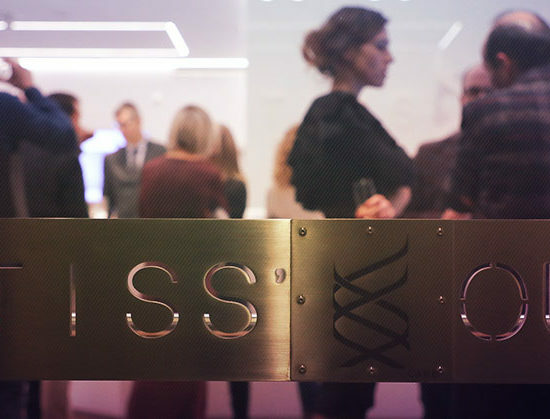 Tiss’You schedule is quite busy is March with international events: from 12th to 16th March, Tiss’You’s dental technology experts will be in Cologne for the IDS (International Dental Show), the biennial event for dental technology companies that records over 155,000 operators from 157 countries and 2305 companies from 59 countries. IDS, a meeting occuring every two years, is a top-event for the wide range of exhibited products, welcoming dental professionals from all over the world. 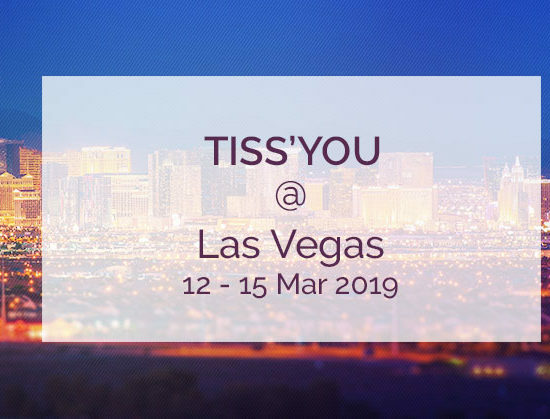 Tiss’You, the first European Regenerative Company, while being in Germany for IDS exhibition, will also join the AAOS meeting in Las Vegas, the fair organized by the American Academy of Orthopedic Surgeons dedicated to orthopaedics. IF YOU NEED US, WE ARE AT YOUR DISPOSAL. After joining the two most important medical exhivition in the Middle East (AAEDC and Aarab Health in Dubai), it’s time for Tiss’You – the first Regenerative Company of Europe – to travel straight to the United States of America. From March 12th to 15th, managers and sales representatives from San Marino will partecipate to AAOS exhibition, the American Academy of Orthopedic Surgeons, in Las Vegas. The goal is to grow contacts overseas with distributors and medical facilities to promote and commercialize medical devices designed and manufactured by Tiss’You that, with the headquarters in the United States in the upcoming months, will benefit the FDA certification (the equivalent of the CE mark for the USA). The fair organized by AAOS is one of the most prestigious in the United States and certainly the best known overseas in the orthopedic field. 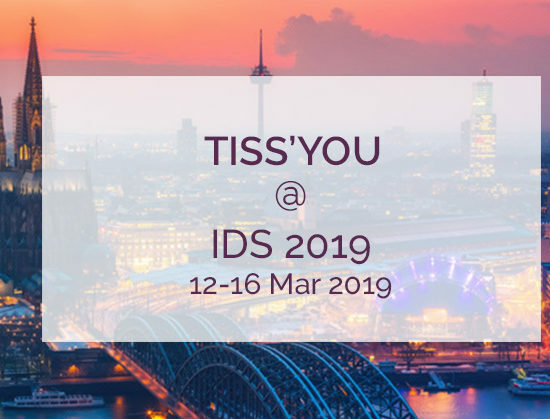 At the same time, Tiss’You’s dental technology professionals will be in Cologne for the IDS (International Dental Show), a biennial event, specific for dental technology companies – with over 155,000 operators from 157 countries and 2305 companies from 59 countries. 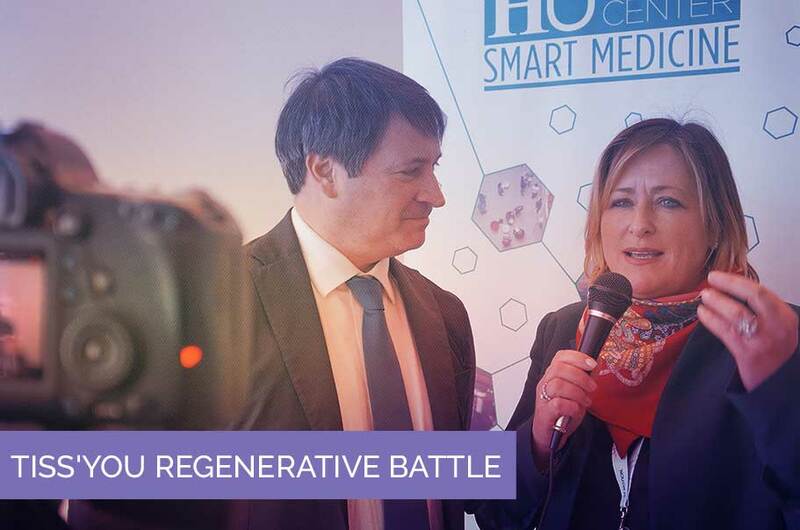 Tiss’You showed its medical devices for regenerative medicine last weekend at the Ortho Center Meeting, organized by Humanitas University in Rozzano (MI) under the direction of Prof. Maurilio Marcacci. 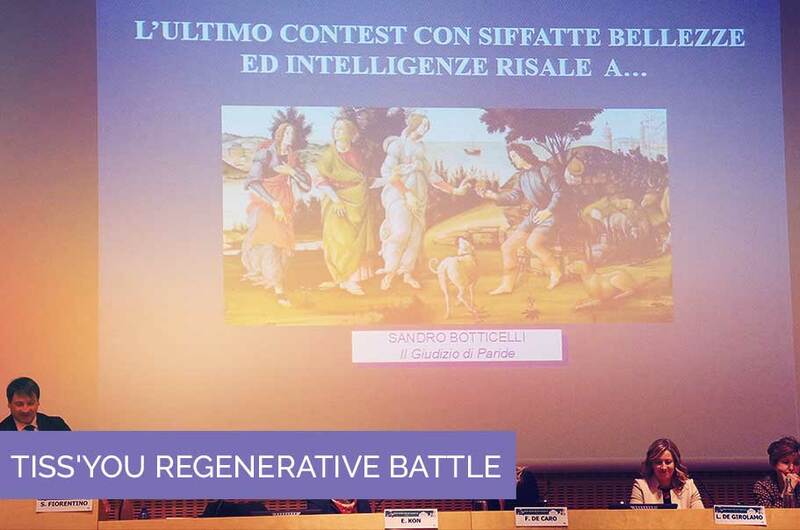 The most famous Italian orthopedic surgeons partecipated in the prestigious conference with prestigious European doctors, discussing high-level topics in their field. 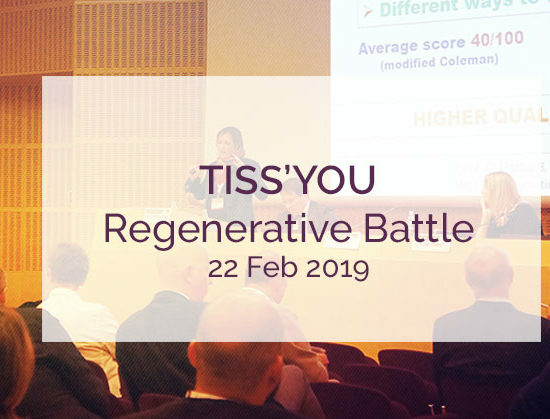 Tiss’You has organized on Friday 22nd, within the event, an innovative comparison on the key issues of regenerative medicine, a branch in which the company is highly specialized. 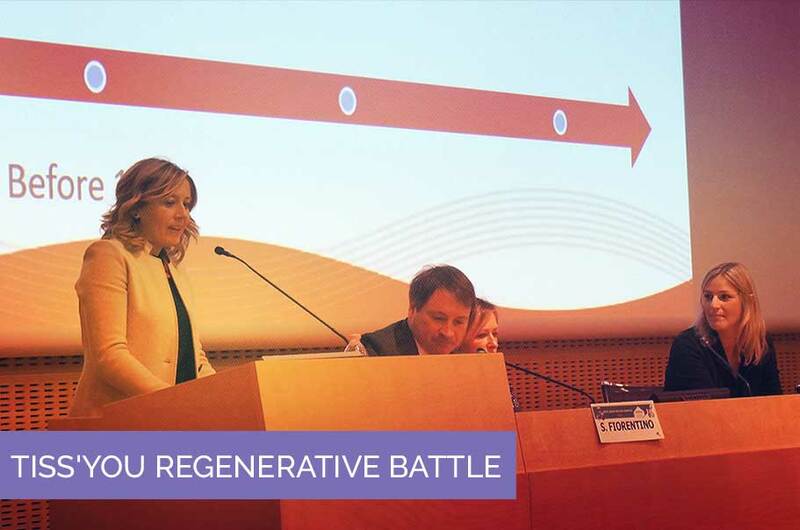 Dr. Elizaveta Kon from Humanitas (Milan), Dr. Laura De Girolamo from Galeazzi (Milan), Dr. Francesca De Caro from Humanitas Gavazzeni (Bergamo), and Dr. Laura Mazzucco from the Hospital of Alessandria challenged each other in the first edition of the Regenerative Battle comparing the different opportunities to issue the topic of tissue regeneration: bone marrow concentrate, adipose tissue derivatives, peripheral blood mononuclear cells, and PRP. The lawyer Stefano Fiorentino was the moderator of the “battle”. At the end of the event the participants obtained further information from Tiss’You experts, who were highly satisfactied for the success of this event. 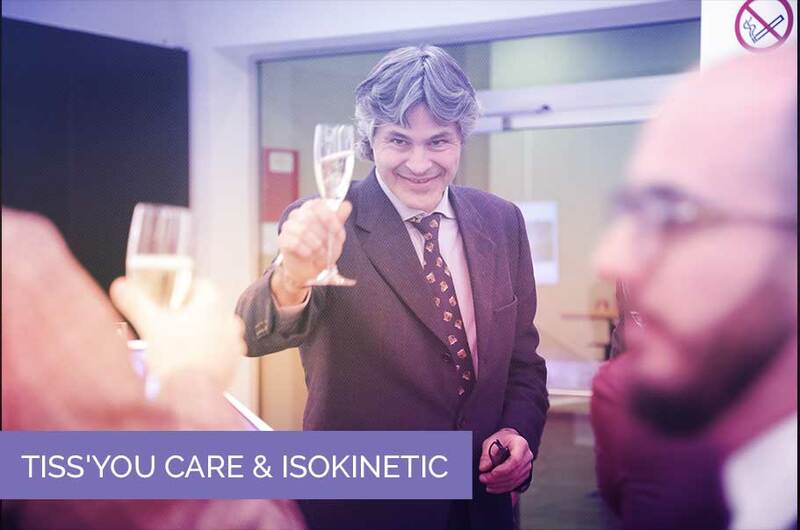 Tiss’You Care, San Marino’s clinic which gives athletes opportunities provided by regenerative medicine, entered a fundamental agreement with Isokinetic, a leading international medical group in the prevention and treatment of sports injuries. 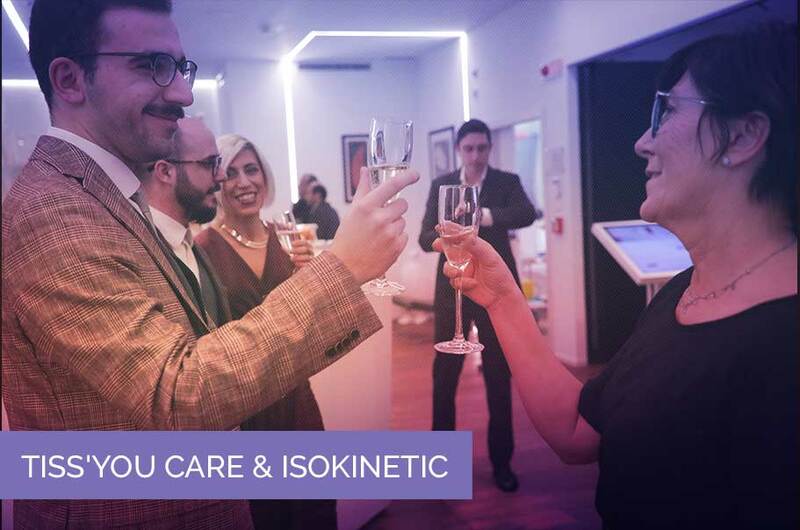 In the last 30 years, Isokinetic, a top-quality FIFA certified medical centre, has offered cutting edge solutions in sports medicine and orthopaedic rehabilitation by developing techniques and methods such has Green Rooms for biomechanical movement analysis and correction. 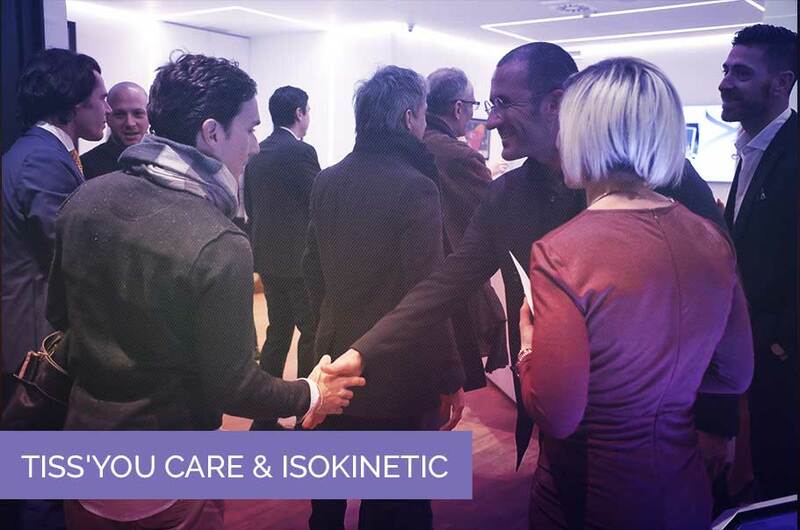 Constant engagement in increasing awareness in this field has led Isokinetic to organise a yearly conference that gathers over 3,000 people from all around the world. The first meeting was held in 1992, and today it has become the most important international event in the field of Sports Medicine. The convention has taken place in famous venues such as Stamford Bridge Stadium, Barcelona’s Camp Nou and, this year, it will be at Wembley Stadium. 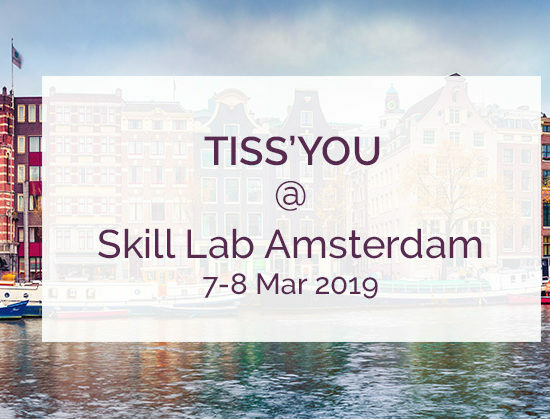 For the 2019 edition, Tiss’You will organise an important workshop aiming at studying the application of regenerative medicine to athletes, an issue which has become primarily important worldwide. 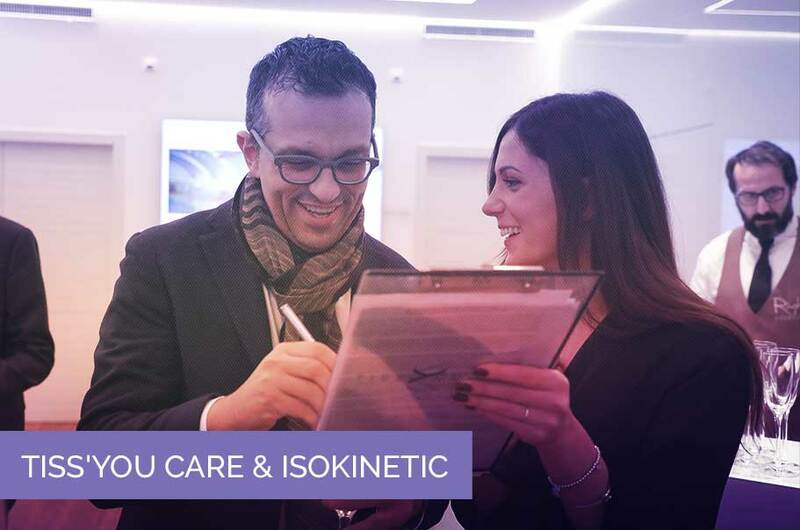 Isokinetic chose Tiss’You Care as a partner for the surgical treatment of its patients since both groups share the same caring attitude towards their patients, who represent the focus of any treatment pathway. 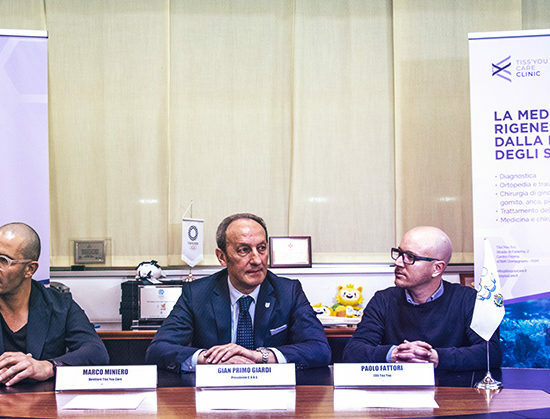 At a gala evening organised at the headquarters of Tiss’You Care in San Marino, the contract was signed. 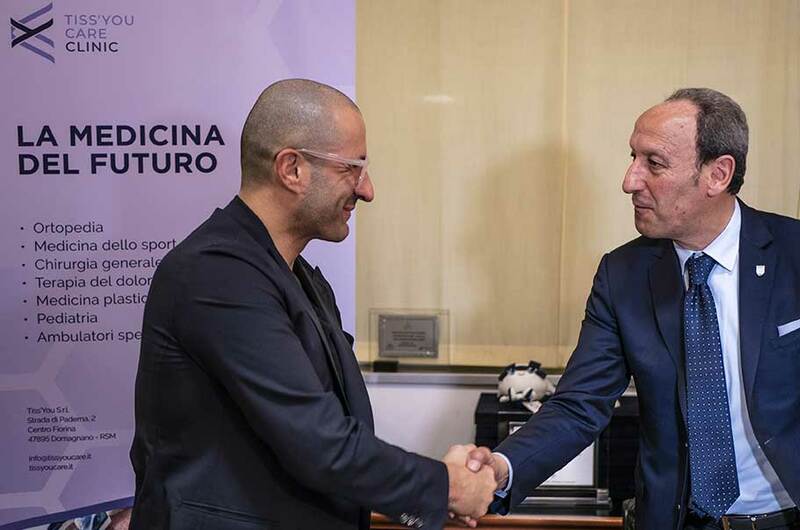 Managers of both companies shook hands to enter an agreement stating that athletes who need surgery may have it in San Marino at Tiss’You Care’s clinic. 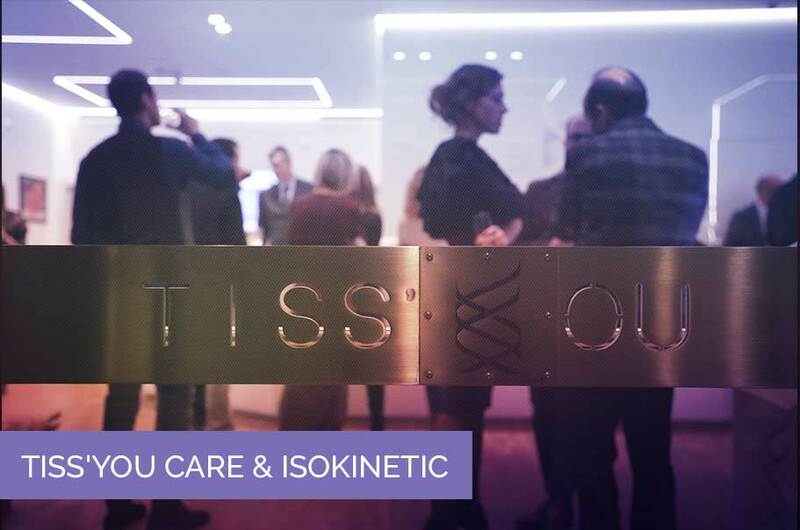 Moreover, the agreement establishes that patients treated at Isokinetic may have infiltrations (of collagen or platelet-rich plasma) in San Marino, as well as take advantage of the important know-how made available by Tiss’You Regenerative Company. 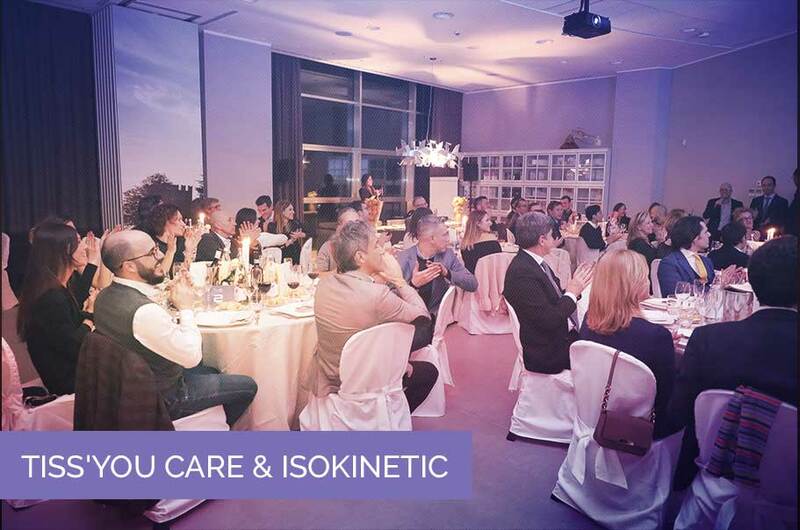 Together, Tiss’You Care and Isokinetic will organise training courses and foster investigation in collaboration with the doctors of Tiss’You’s scientific board. 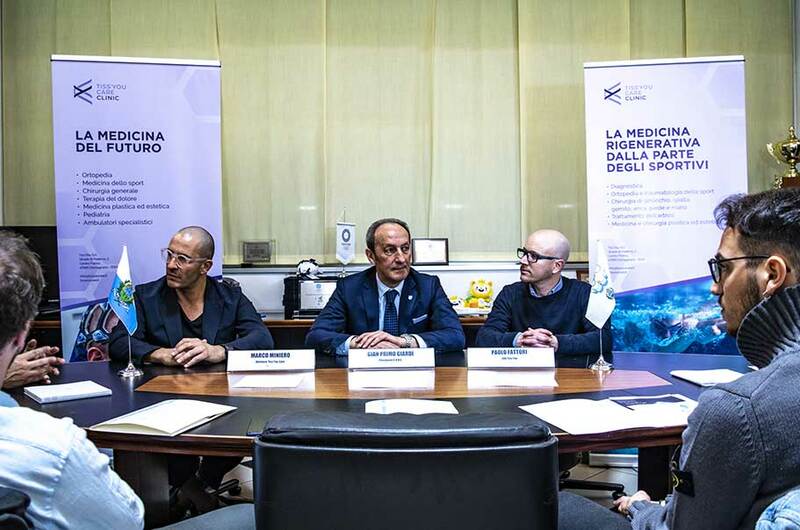 This cooperation will bring the best athletes to San Marino thus increasing the prestige of a country, which aims to reach a top-quality healthcare system thanks to engagement and teamwork with top-grade partners. 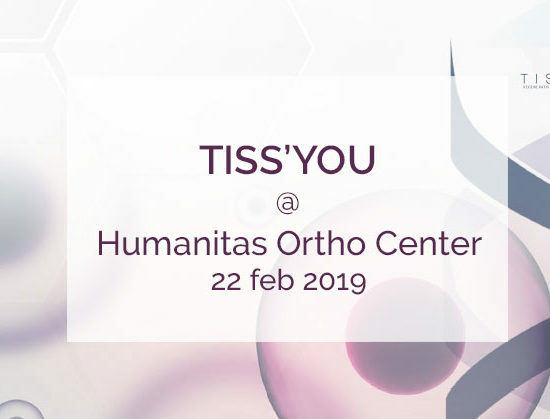 Tiss’You will show its medical devices for regenerative medicine at ORTHO Center Meeting, organized by Humanitas University in Rozzano (MI) on 22nd and 23rd February and directed by Prof. Maurilio Marcacci. The most prestigious Italian orthopedics will be present at the conference, together with their colleagues from European to work and discuss together in high-level topics. 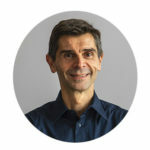 “In times when free and independent information on scientific innovations is increasingly difficult – wrote Prof. Marcacci in the presentation of this event – we decided to organize a conference that starting from the experience of professionals can offer a frank critical comparison of opinions and strategies”. 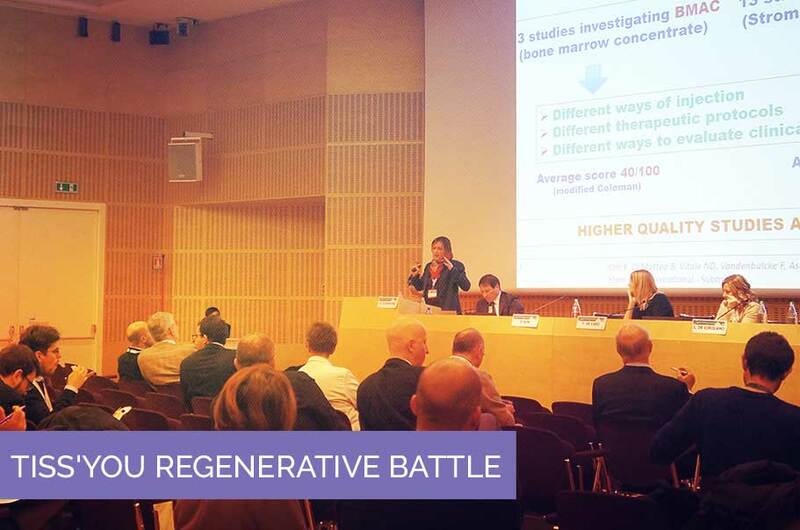 Tiss’You organized, within the event, on Friday 22nd, an innovative comparison on the key issues of regenerative medicine. 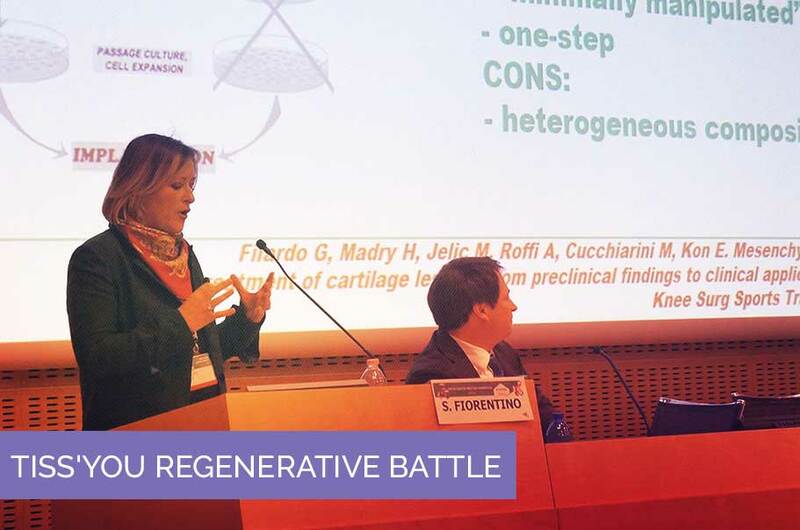 Four doctors will compete in a “REGENERATIVE BATTLE” on the biological issues presenting the opportunities offered for the regeneration of cartilage and tendon. 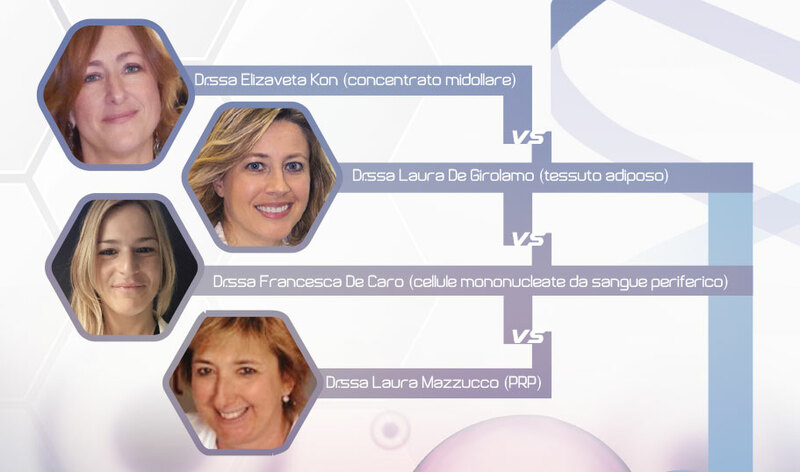 The speakers will be Dr. Elizaveta Kon from Humanitas Milan (bone marrow concentrate), Dr. Laura De Girolamo from Galeazzi Milan (adipose tissue), Dr. Francesca De Caro from Humanitas Gavazzeni Bergamo (monocytes) and Dr. Laura Mazzucco from Alessandria hospital (PRP). 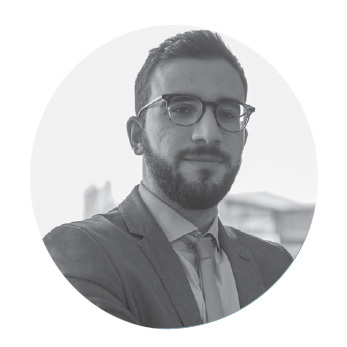 The referee and moderator of the challenge will be the bio-expert lawyer Stefano Fiorentino. 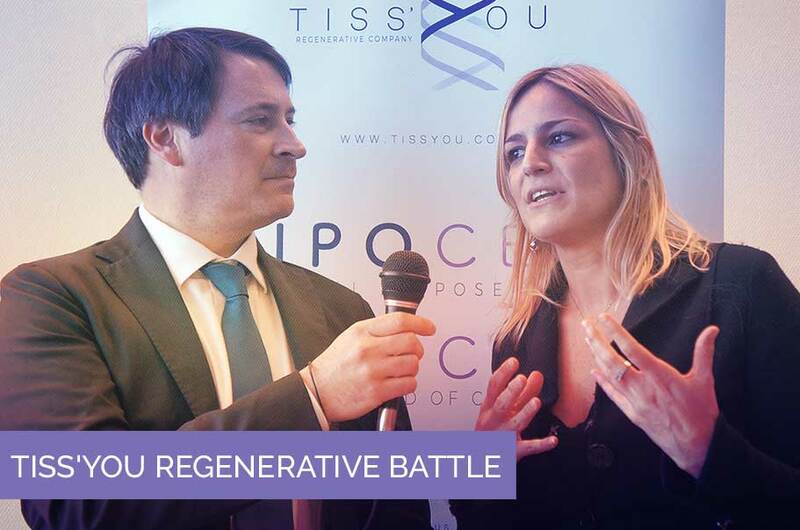 At the end of the Regenerative Battle, guests can meet the experts from Tiss’You to obtain further information on the products and technologies that the company provides. What is really PRP? Why does it work and why is it so often used? Is there any risk in using it? In order to answer these questions, we interviewed Dr. Laura Mazzucco, a biologist in charge of the Laboratory of Transfusion Medicine at Ospedale SS. Antonio e Biagio e Cesare Arrigo in Alessandria and a leading expert in the field of blood components for non-transfusion use and regenerative medicine. Mazzucco has always been an enthusiast of platelets. She was one of the first researchers who started to use platelet lysate, that is “platelet juice”, in her experiments to stimulate cell growth. PRP is a widely spread biological therapy boasting consolidated results in scientific literature. 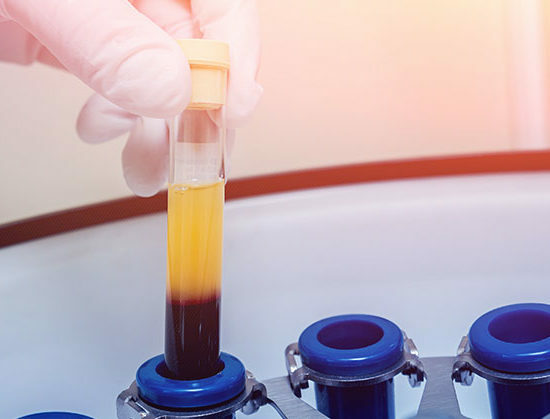 As suggested by the acronym, it is platelet-rich plasma obtained from autologous blood (when donor and recipient coincide – editor’s note) through platelet concentration. 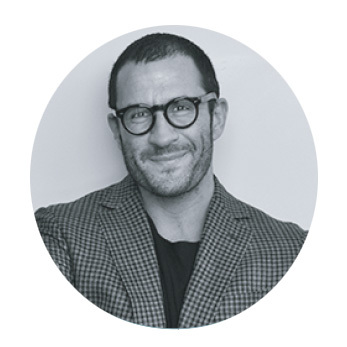 The underlying rationale is to give patients their own molecules in order to foster balance in tissues damaged by traumas, such as muscle-tendon injuries, or by degenerative processes such as arthrosis. How does PRP work? “PRP can give some relief because damaged tissues are affected by fibrosis since they lack such molecules. The supply of a whole group of molecules to that areas – which lack innervation, circulation and microcirculation – sometimes sets ideal conditions for cell re-homing. Sometimes people tell me: “you may obtain the same results without using PRP”. Yes, it’s highly probable, but it would take longer. PRP acts in a few-months’ time. After one year, the results may be the same but PRP acts in the short term”. Dr. Mazzucco highlights the importance of the role played by doctors in making their diagnosis, the most important moment in patients’ treatment pathway. “I think that the attitude towards PRP is very positive. However, this choice should be a possibility. There shouldn’t be just one therapy. We have created pathways. A few patients come after first screening but most patients have already tried conventional therapies before they approach PRP. People suffering from eye diseases are likely to have PRP as their first choice since these treatments have very good effects on such illnesses. Actually, therapies based on autologous serum have been used for fifty years”. 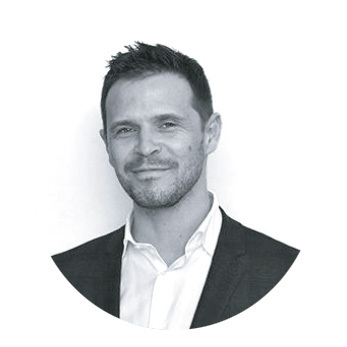 Some people are questioning PRP usefulness since it has been used in similar ways for different illnesses but in Mazzucco’s opinion, this isn’t a good reason to discredit it. “This product was designed to be used in difficult, improbable cases such as extremely serious ulcers or pre-amputation ulcers in diabetes. Then, we started to ask for miracles from it but this is not a miraculous product. This product should be used as an adjuvant in clinical pathways. The problem with PRP is that it was deemed a panacea, but it isn’t”. 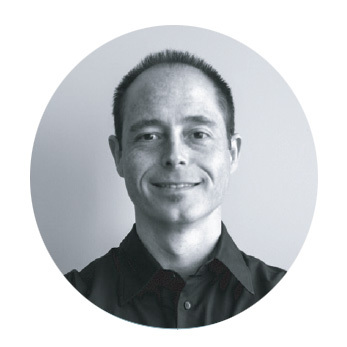 – “I strongly believe in the use of PRP in different sectors. Our tissues contain cells which proved to have higher response to PRP than others but this is indeed a good product suitable for all uses”. As for the future of PRP, is it possible that, in the following years, this therapy will develop into a “second-generation” PRP? “I often think about this. Surely, the second generation of PRP will be industrially made although I fear that there is no will to do it. I believe that the industrialisation of PRP may be linked to homologous blood collection in order to obtain the product starting from derivatives and transfusion remnants. It is also possible to lyophilise PRP. I have one sample dating back to 2003 so I strongly believe in this method. The strongest point of PRP is the fact that no side effects have been observed up to now. Probably, this world of factors in plasma and platelets is balanced. Any modification to concentration and industrialisation will require deep investigation. I’m not saying you can’t do it, but it will be difficult to make it as globally widespread as it is today. We haven’t seen such an interesting market yet”. 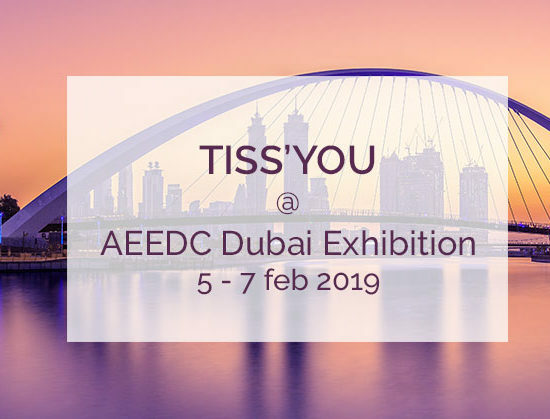 Tiss’You will exhibit its innovations at AAEDC, the Arab Dental Exhibition (AEEDC Dubai), the leading exhibition event with focus in dental medicine in the Middle East, North Africa and South Asia – the second largest dental event in the world. 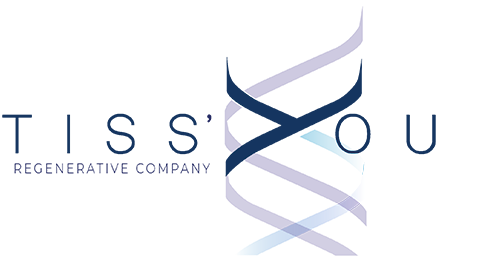 “Education & Innovation Transfer” is the “leitmotiv” of this year and Tiss’You will be present to show SpheraH and Collygen medical devices for application in the dental world. Every year, AEEDC Dubai brings together ten thousand people from dentistry field. Among more than 4700 exhibiting companies with more than 2000 brands in 9 exhibition pavilions and 16 national pavilions of AEEDC Dubai Exhibition, Tiss’You is present – a pride for the Republic of San Marino and for whom gave rise to the project. The AEEDC will open tomorrow 5th February and will close on 9th February.